July 2017 | MMA Fighting Events Videos Techniques UFC Fight Picks and News. The MMA community has been waiting for this rematch for over two years! It’s finally here! The UFC’s 205 lbs interim champion Daniel Cormier will test his champion worthiness against the real champion Jon Jones. Let’s keep it real, while Daniel Cormier is a great fighter, he only became champion after Jon Jones was stripped of the belt for actions outside of competition. 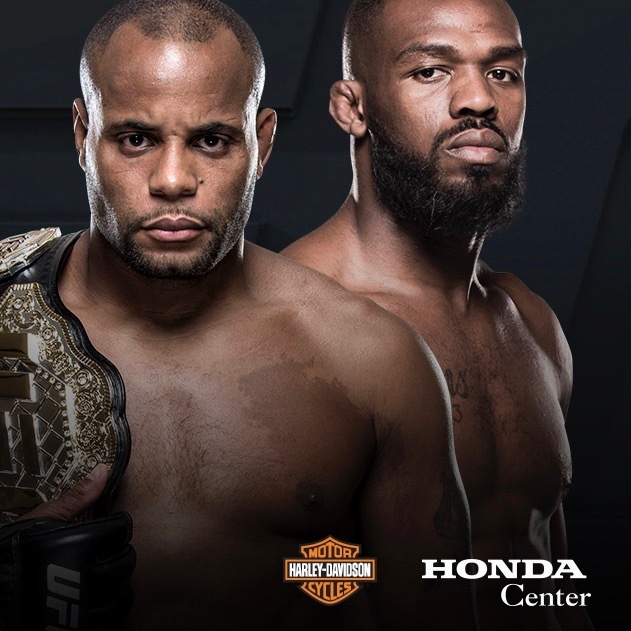 As usual, I’ll breakdown each fighter and then I’ll make my fight pick for UFC 214: Jon Jones vs. Daniel Cormier 2. Daniel Cormier has an impressive overall MMA record of 19-1. That one smudge on his record was to Jon Jones. Cormier has fought and beat some of the best fighters in the UFC including but not limited to legend Anderson Silva, Dan Henderson, Frank Mir and Josh Barnett. Cormier is not a lay and pray wrestler either. He has 6 KO/TKO’s on his resume as well as 6 submission. Cormier can and will finish a fight! That’s what fans want to see. Jon Jones is virtually undefeated at at 22-1. Virtually because the only smudge on his record was a DQ loss to Matt Hamill. MMA fans know that would have been a win with or without that downward elbow. Anyway, Jon Jones has been a runaway freight train taking out whatever is put in front of him. He has 9 KO/TKO’s and 6 submissions on his resume. While on paper these two fighter look similar, there are differences that will make a big impact in this fight. First, Jon Jones is the younger fighter. Jon Jones is 30 while Daniel Cormier is 38. At 38, you just never know how your body will respond while competing at the highest levels. It could be a good day, or, father time can nudge you into having a bad day. The second difference is body type. Jon Jones is long. He can strike from a long distance with both kicks and punches that can surprise a fighter. He’s also shown to be extremely athletic, creative and highly skilled at using his long limbs. Daniel Cormier is one of the best wrestles in MMA and that’s his advantage in most fights, but Jon Jones has shown to be able to adapt to any style, match and surpass any fighters perceived advantages. Look for this fight to start slow. As the fight progresses, Jon Jones will begin to wear down Cormier just like in their first fight. Cormier’s age will catch up. Jon Jones will most likely turn the heat up and finish the fight in the 4th or 5th round! The real champion will take the throne once again. A few hours before the start of UFC 213, Amanda Nunes has been pulled from the card due to illness. Now, Yoel Romero vs Robert Whittaker will be the main event. This will be a five round fight for the interim UFC middleweight title, but, it probably won’t need all five rounds to be decided. Let’s take a closer look at these two fighters and then I’ll make my fight pick for UFC 213: Yoel Romero vs. Robert Whittaker. Yoel Romero is coming into this title fight with an overall MMA record of 12-1. His last and only loss was way back in 2011. Since then he’s been on a tear with 8 straight wins. Those wins haven’t been agains chumps either. He’s beaten the who’s who of the middleweight division including Chris Weidman, Ronaldo Souza, Lyoto Machida, Tim Kennedy and others. Yoel is built like a tank and drops bombs for chingasos! He’s finished 10 of his fights via KO/TKO including 3 of his last 4 fights. He’s one of the most, if not the most powerful and dangerous fighters in the UFC. His wrestling background allows him throw chingasos full force without the fear of being taken down. And, if gets his hands on you, you’re most likely going to hit the mat pretty damn hard. Robert Whittaker comes into UFC 213 with an overall MMA record of 18-4. More impressively, he’s rattle off 7 high level wins in a row including TKO’s of Ronald Souza and Derek Brunson in his last two fights. 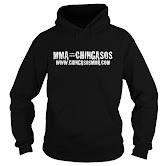 He has great striking and his takedown defense is getting better and better. Whittaker is one of the best technical boxers in the UFC and as he’s learned to mix things up, those skills are becoming more and more effective for him. Whittaker can finish fights! He has 9 KO/TKO’s on and 4 submission wins on his resume. Four out of his last 6 fights have finishes via KO/TKO. In this fight, look for Yoel Romero to go after a takedown early. While Romero has power, his striking isn’t the most technical and his best chance is take the fight to the mat and get into a ground and pound situation. Unfortunately for Romero, Whittaker knows how to keep the fight standing. His takedown defense is one of the best. Whittaker will be patient and will allow his technical striking to wear down Romero. Whittaker has the better gas tank. As the fight progresses, Romero will get slower, sloppier, and Whittaker will take advantage. This fight will end in the later rounds and Robert Whittaker will be crowned the interim UFC middleweight champion.